The MP for Tatton, Esther McVey, has quit her Cabinet post, saying the Brexit deal "does not honour the result of the referendum". She had been Work and Pensions Secretary since January 2018. 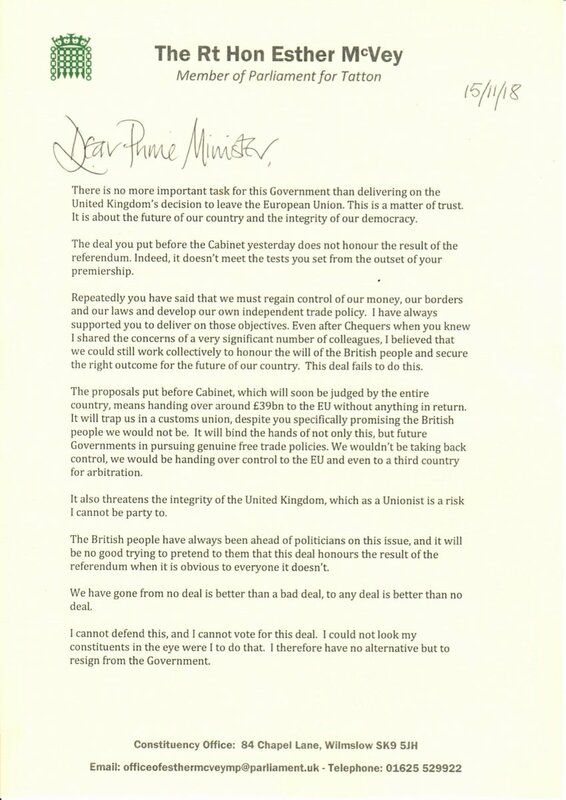 In a resignation letter posted on Twitter, Ms McVey cited concerns over the future of the Union and a lack of control over money, law, borders and trade policy under a deal she felt kept the UK too close to Brussels.